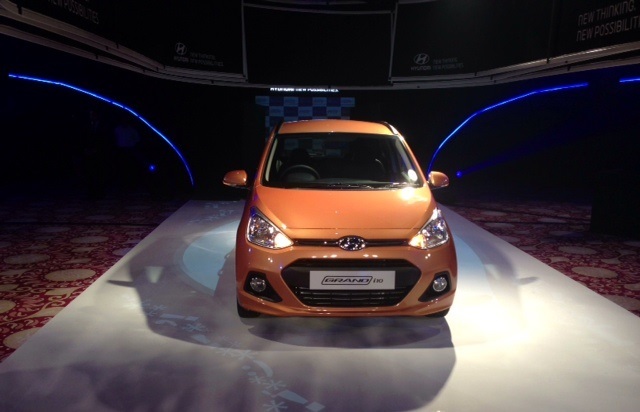 Hyundai Motors India has launched the Grand i10 in India starting at a price of Rs 4.29 Lakh. 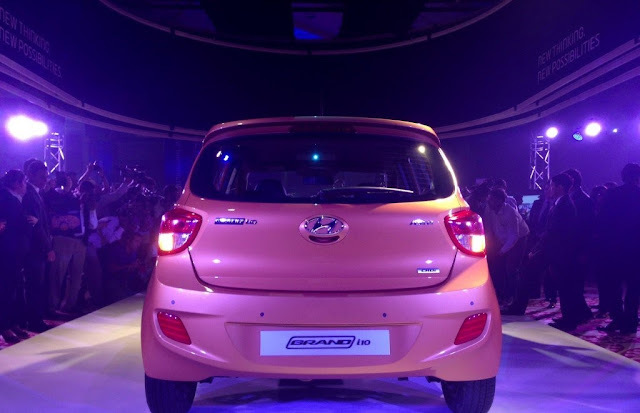 The car promises to deliver the best in class fuel efficiency of 24 Kmpl for Diesel engine and 18.9 kmpl for the petrol one. The newly developed 1.1L U2 Diesel engine develops 71PS @ 4,000rpm and 163Nm @ 1,500-2,750rpm. This engine delivers a class-leading mileage of 24kmpl (ARAI approved) and is Euro V emission norm ready. It is paired to a five-speed manual gearbox. The Petrol engine is the 1.2L Kappa dual VTVT petrol engine that generates 83PS @ 6,000rpm and 116Nm @ 4,000 RPM. This engine has an ARAI-certified mileage of 18.9 Kmpl. 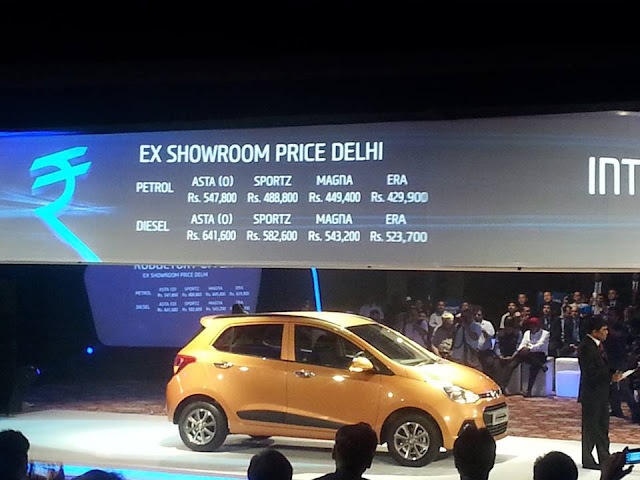 The petrol variant will also be available in 5 speed manual and 4 speed automatic transmission. The car comes with various segment leading features such as a 2 Din integrated Audio system with 1 GB of internal memory, Steering mounted audio and Bluetooth controls, a cooled glove box, Rear AC vents, Push button start, Smart Key and Electronically Adjustable and foldable OVRMs. Other premium features include Driver Side Auto Down power window, Rear parking sensors and 14 inch alloy wheels.